Learn about out towing services for commercial accounts needing impound towing, vehicle tranport services. Our commercial towing experience ranges from apartments, restaurants, clubs and retail centers to commercial fleet support. We offer 24-hour towing services to remove improperly parked or abandoned vehicles, and recover inoperable company vehicles. We strive to deliver fast response times for non-consensual towing. We understand that our performance can reflect upon your business and commit to having the professional appearance and demeanor that you expect. From our on-site performance to helping people to reclaim a towed vehicle we are a great choice for your Atlanta area commercial towing needs. For any of your customers or employees that have car problems at your business you can call us for expedited roadside assistance services. Our towing professionals are trained to do the job as quickly as possible and mitigate common problems with impound towing. All impound towing is done in strict compliance to Georgia towing laws, and vehicles are stored within our secured impound lot. From arriving at your property to later working with vehicle owners we work to turn a problem situation into a simple transaction. Platinum Service! Commercial customers work directly with the company owner Mr. Kent Miller. We have a special appreciation for our business accounts and give each one direct access to the owner. Trouble opening these documents? Download a free version of Adobe Reader™. Adobe Reader is safe for any computer. 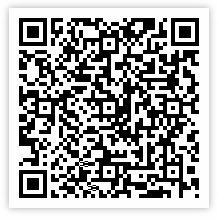 Scan our QR Code into your phone!